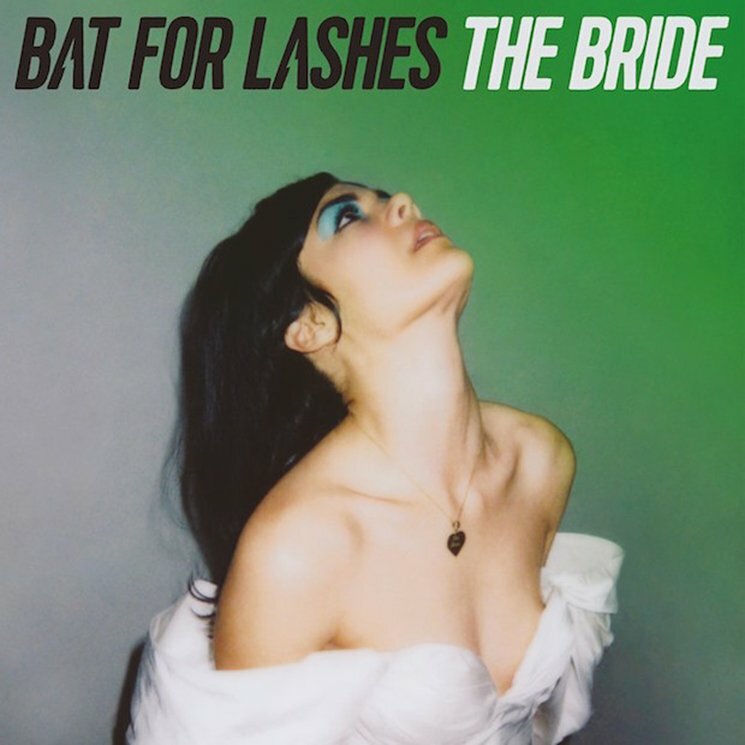 Employing a multifaceted approach to her fourth album as Bat for Lashes, Natasha Khan draws from her studies of film, visual art and fashion design to create a tangible world on The Bride. Khan takes listeners on the journey of titular character, The Bride, whose fiancé, Joe, dies on the way to their wedding. The gentle naïveté of "I Do," all auto harp and whimsy, flows into the deep romance of "Joe's Dream," as Khan's moving vocals soar and whisper with emotion. One of Khan's goals with The Bride was to show the necessity of being able to love and support oneself, as opposed to completely relying on another person. The character of The Bride slowly gains confidence as she navigates heartbreak, as heard in the stomping drums of "In God's House." They provide a sharp contrast to bouncing synths reminiscent of Kate Bush, as Khan's lilting voice repeats, "Fire!" "Honeymooning Alone" is wounded yet defiant, while "Sunday Love" is a shattered pop song in the vein of previous hit "Daniel." Throughout the album, Khan utilizes found sounds gorgeously: thunderclouds rolling in, rain pattering amongst the sounds of chimes and disembodied voices all add crucial atmosphere. Cinematic and Lynchian, "Widow's Peak" captures The Bride's fear perfectly.